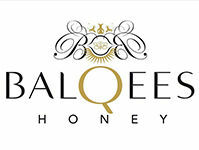 Join Balqees Honey Club! Our members will receive a special, themed box every month with selections of your favourites, so you never run out and with exclusive tastes of new varieties of honey. Also receive beauty and lifestyle gifts from the hive, recipe cards, health and nutrition tips from experts, and previews of our most exciting news and travels. Choose from two beautiful boxes. Payment online and Cash on delivery.